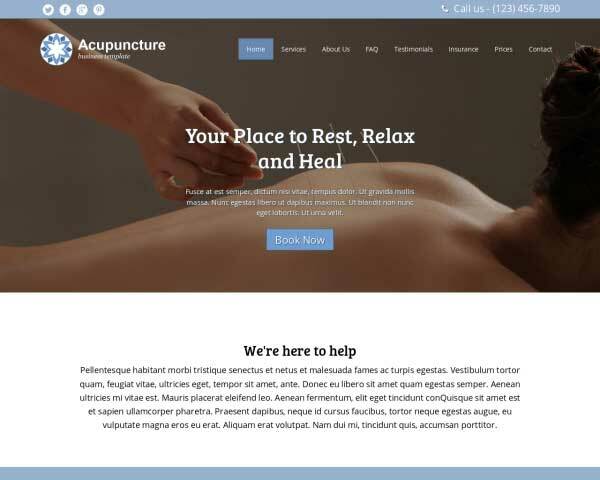 A professional website for your acupuncture practice is within your reach when you start with the Aromatherapy WordPress Theme. This pre-built WordPress theme comes with the important pages and business features already in place, so all that's left to do is fill in your own text and photos. 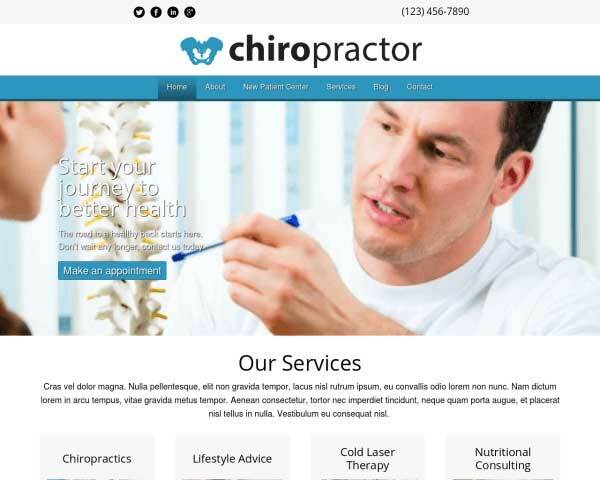 Having a professional website for your acupuncture services doesn't have to break the bank. 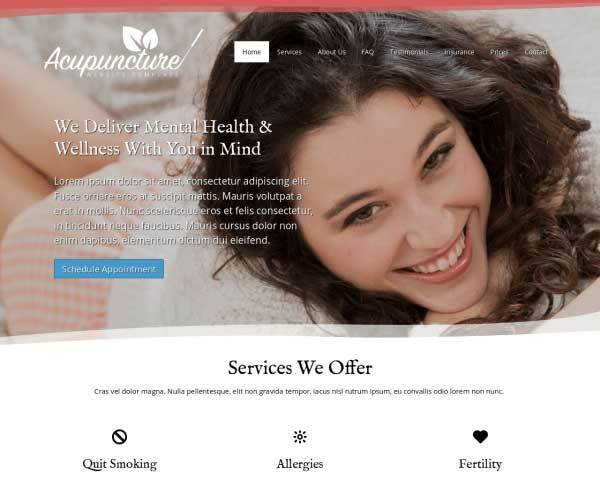 With the Aromatherapy WordPress Theme, we've made it manageable and affordable for acupuncturists to build and maintain a great-looking and informative website without any coding required at all. Easily change the color scheme, style text and rearrange page layouts with our powerful front-end editor and drag and drop widgets. Our mobile-optimized design ensures that your site will impress clients even when viewed on small screens. 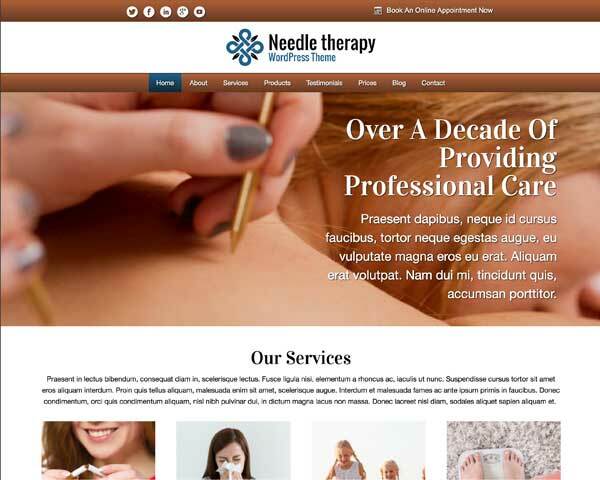 The Aromatherapy WordPress Theme is a smart investment that helps you convey the professionalism and expertise of your acupuncture business online. Customers coming in will be able to book online anytime with the Aromatherapy WordPress Theme's built-in reservations form. Easily customize the fields to suit your needs. If you're in charge of creating the website for your business but have little time or web design skills, our Aromatherapy WordPress Theme will help you get a comprehensive website online fast! Call to actions are very important aspects of any site including this Aromatherapy WordPress Theme. We've made sure that the call to actions can be configured directly using the front end editor. 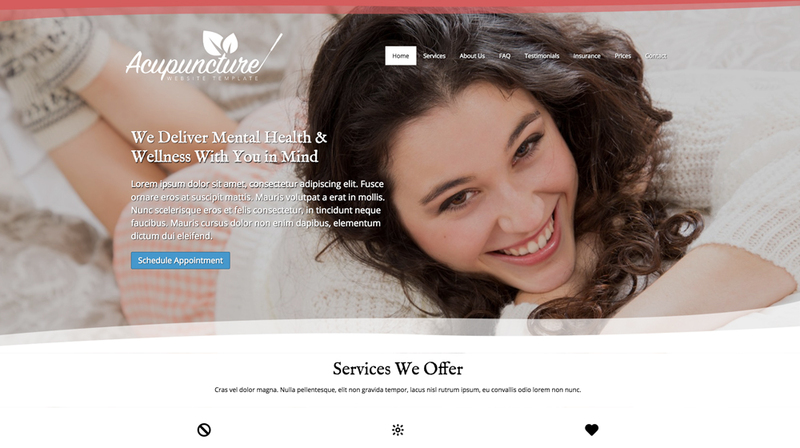 With bright, inviting colors and a clean layout, the Aromatherapy WordPress Theme is designed to help you organize important information and display professional images of your health services. With clear distinctions between the questions and answers, the Aromatherapy WordPress Theme's FAQ page is ready to be filled with your most frequently asked Q's and A's. Allow patients to request a receipt online in order to be reimbursed by their insurance company. 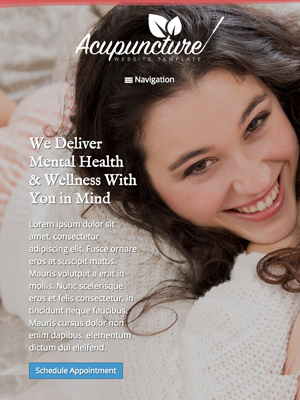 The built-in form on the Aromatherapy WordPress Theme's Insurance page can be easily customized. Enter your own services and prices on the Aromatherapy WordPress Theme's built-in charts to neatly display your rates and help convert curious visitors into clients. Show prospective clients the amenities your business offers on the Aromatherapy WordPress Theme's fully-customizable service detail pages. Add a welcoming touch to your acupuncture practice website by introducing your team with a profile photo and short bio. Placeholder images and text are ready for you on the Aromatherapy WordPress Theme. 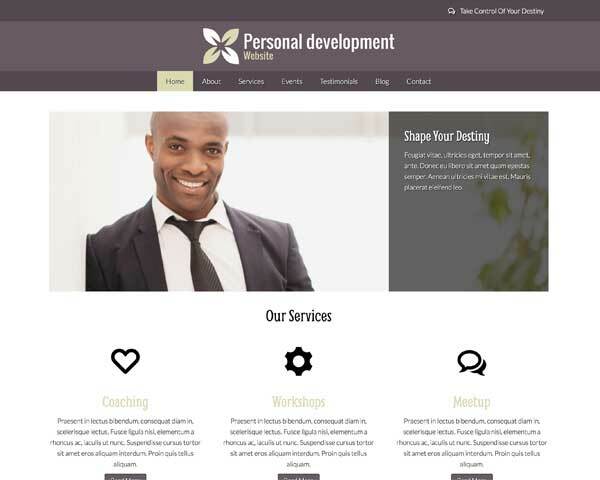 The best way to attract new clients with the Aromatherapy WordPress Theme is to do let others do the talking for you. 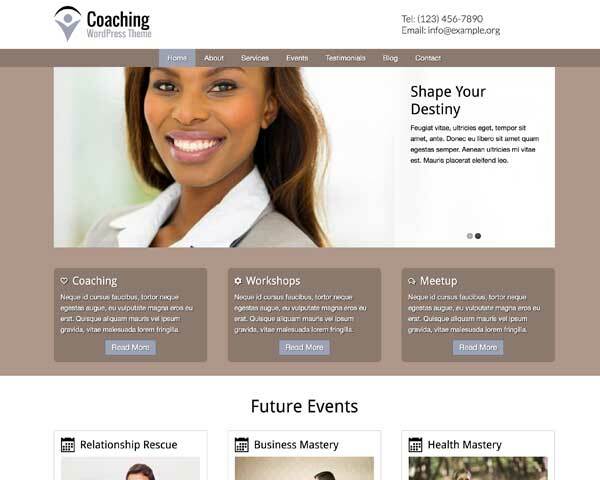 We provide pre-configured pages for you to fill in with your own clients' success stories. 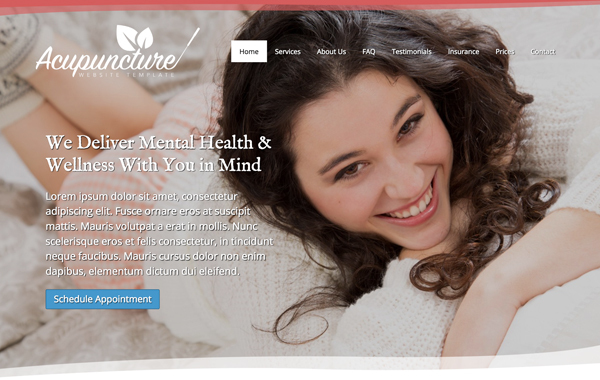 When you start with this responsive Aromatherapy WordPress Theme, you can be sure that your new website will offer visitors the same professional look and functionality of the desktop version when viewed on any screen size. 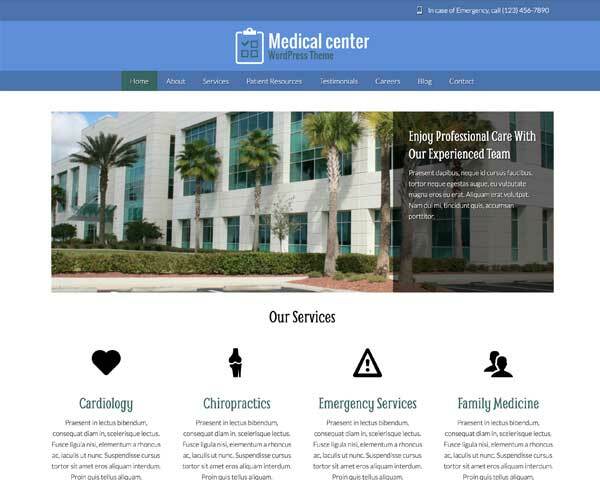 This premium website template's mobile-optimized design will automatically adjust the layout of your content to display neatly on all handheld devices, without any additional coding or plugins required. 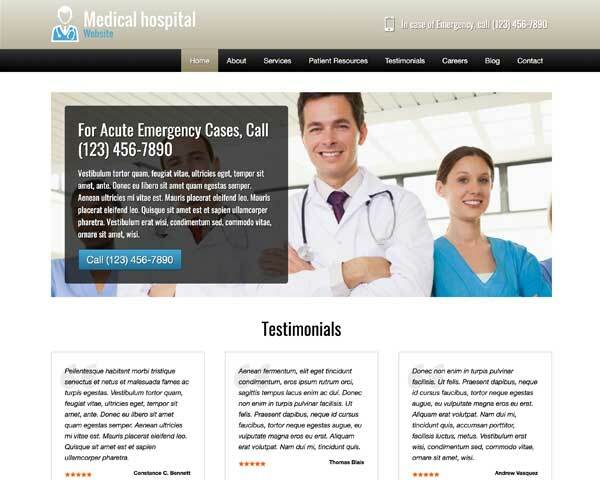 Mobile visitors can simply tap your phone number to dial and book an appointment.